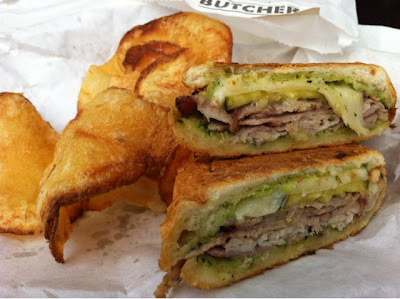 For lunch, go Green Goddess in the French Quarter. Sit at an outdoor table on quaint Exchange Street and bask in the feel. 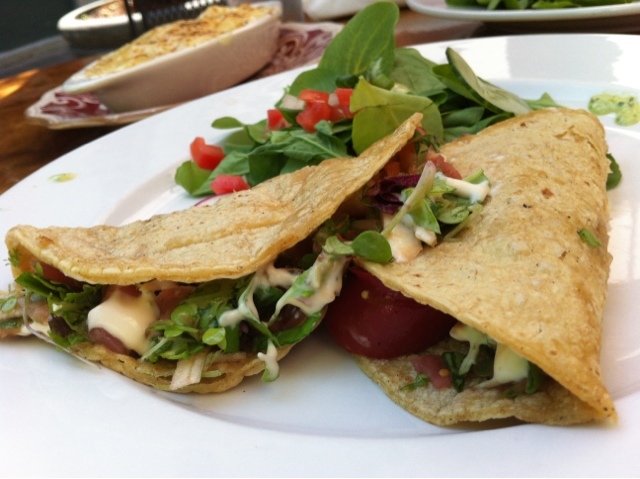 The menu is one of the few in town that offer amazing healthy and vegetarian options. Naturally, I veered away from that. I had a cool watermelon gazpacho, these decadent duck confit tacos and a side of Manchego cheese grits. Don't judge. My favorite dinner was at Herbsaint, where sans reservation I pulled up a chair at the bar and sampled small plates from a spicy gumbo to a rich gnocchi Bolognese. 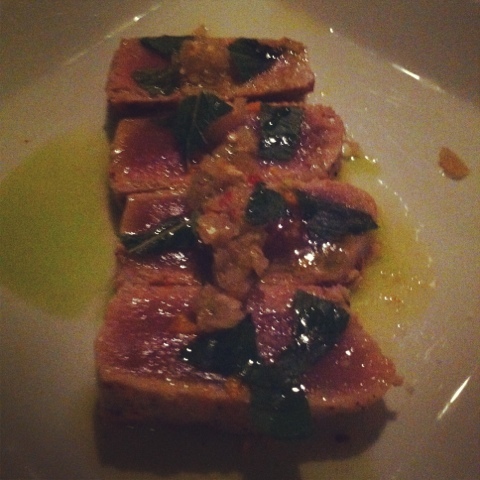 But, my favorite bite was this butter poached Gulf tuna. If it's on the menu when you visit, you have to try it. After dinner, we wanted a little bit more New Orleans. We went to a well known joint that shall not be named an ordered up the worst Manhattan I've ever tasted. After tweeting our DC bar guru, Jeff Faile, we stepped away from the offending glass and hopped a cab two miles away to uncharted territory - Cure. 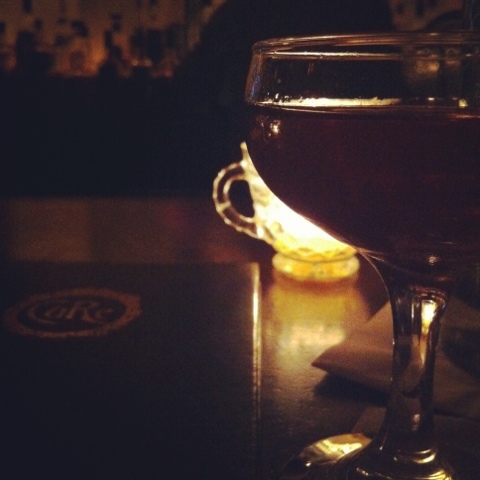 Bartender Ryan immediately rectified the situation, serving one of the best Manhattans of my life. He and his wife are recent New Orleans transplants, having just moved from... Manhattan (where he was at Spotted Pig for years.) Stop by and see him - and trust in his suggestions. Cure is legit. 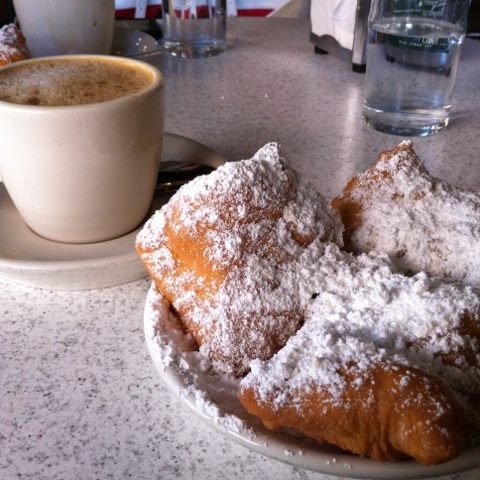 And, of course, you have to go to Cafe du Monde for beignets and cafe au lait! Love your photos! Makes me want to go back to Nola. Cafe Du Monde! I'm craving that now! Might have to book a flight to the US!